How can I spot and email scam? Learn how to spot a scam email in a few easy steps. 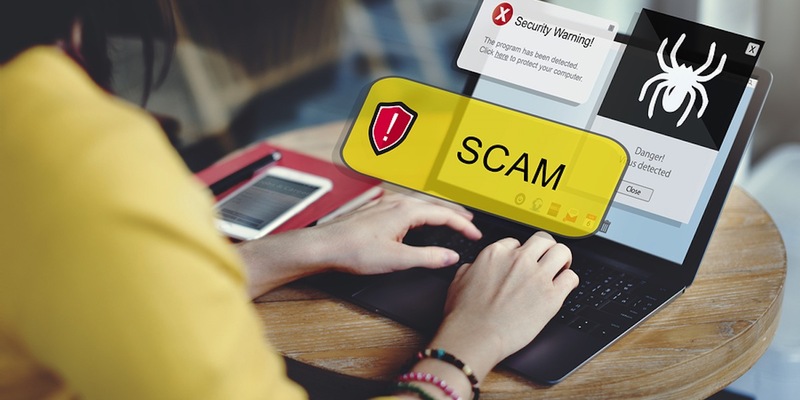 Email scams seem to be on the rise with copycat branded emails supposedly from popular online services like PayPal, iTunes, Telstra and of course the banks (and more). I've had quite a few queries from clients asking me to verify some of the emails they are receiving and I've put together a short checklist to help determine at a glance whether an email is legitimate or a scam. Sometimes this will be an email address that sounds 'dodgy' but these days scammers are clever at hiding their true email address with an official sounding email account. The below example demonstrates a scam email which has been hidden to try and trick you into thinking it's really from support@itunes.com. Although the example below looks feasible, it's worth checking this first because these addresses are often nothing like the service provider's. 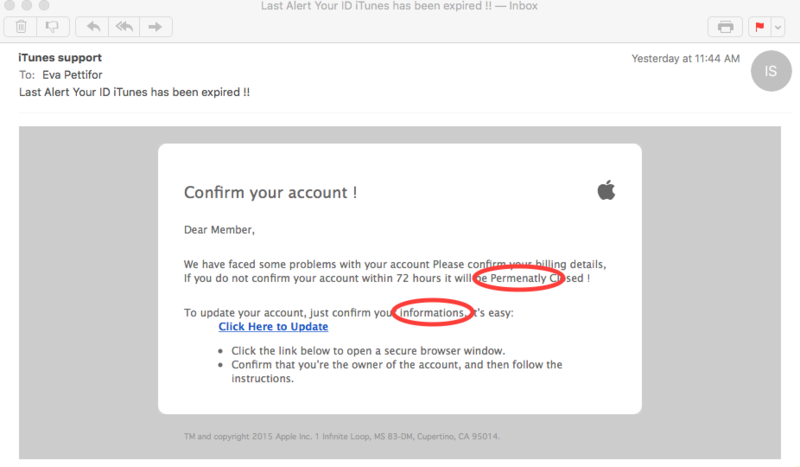 One of the biggest give-aways is the often bad spelling or grammar in the scam email. See the example below which is trying to look like an iTunes message. Although at an initial glance the email branding looks legitimate, when you read the message it doesn't sound professional and has some obvious spelling and grammar mistakes. 3. The dodgy link - DON'T CLICK IT ! Ultimately the scam email wants you to click on their link, so this is the main thing you need to check to confirm the scam. If you hover over the link (without clicking), you will see the link address. The scammer's links may try and sound official but they are mostly nothing like the legitimate website. See the example below, they are proposing you click for an iTunes update to your account, but the link is coming from an obscure location 'altermedic.es/modules/....'. Even if this link had the words itunes or apple in there, the above items and screenshots have confirmed it's a scam. It's also worth noting that most of these official service providers including banks will never ask you to click a link in their email to update your details or login to your account. If in doubt, login to your account directly using the official providers main home page (not using a link from any email) and the provider would normally have a message within your login area. Alternatively check the provider's blog or website for any issues that you think may be relevant. If you are still unsure, contact the provider's online support to query the email with them.